Your daughter is growing up. Before you know it she'll be well into her late teen years and you'll ask, "where did the time go?" I know because when I look at my own kids I pinch myself and ask myself this question, almost every day. And I hear parents say this all the time when their daughters go through our programs here at Twin Eagles. But you know what? You, too have grown into parenthood and your daughter has been growing so fast that you've also been in transition. I'd like to invite you to consider this as an opportunity to honor both of those unique transitions in your family. For you and your daughter, you get to stop and remember all the years with her, raising her, teaching her, loving her, and remember the little things that are now adding up to a big thing. Your daughter entering adolescence. She's in transition and once she goes through it, this opportunity will have passed. I invite you to slow down, and honor it. The single greatest way I know of honoring the transition of adolescence is with a Coming of Age program. That's why I've dedicated my life to facilitating these types of experience. In honoring this transition that she's in (and you're in), you'll gain access to the clarity, insights, strength and stamina for the next leg of the journey coming up ahead, and deeply support her in preparing for what is often times the single most challenging phase of youth, as well as parenting. By giving your daughter the gift of a Coming of Age Program, you'll be embracing what is here right now in front of you and your daughter. You both get to witness each other and the journey you've made together. And you get to see her stretch her wings, gain independence and more freedom so she can take what you've given her and enter the world shimmering. In just a few weeks I'm leading this year's Girls Coming of Age program at Twin Eagles Wilderness School. I have a few more spots available, and invite you to consider this as a special opportunity to honor the transition your daughter is in the midst of. 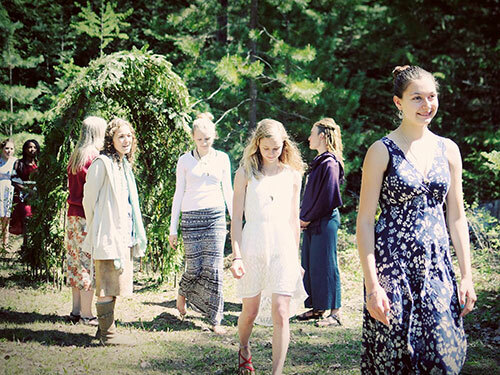 Learn more about Twin Eagles Girls Coming of Age Program here.